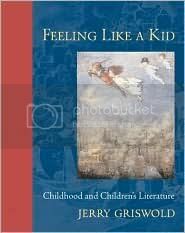 In Feeling Like a Kid: Childhood and Children’s Literature, Jerry Griswold argues that the reason why some children’s books are so successful is because they really capture that it feels like to be a child. And what does it feel like to be a child? Griswold identifies five areas that are essential parts of children’s experiences, and devotes a chapter to each: snugness (children’s fondness for small, cosy places), scariness, smallness (not only how a child’s size influences his or her perception of the world, but also children’s attraction to miniature things), lightness (children’s frequent dreams of flying, levitating, etc) and aliveness (young children’s conviction that everything in the universe is alive and self-aware). In each of the chapters, he illustrates his point with examples from children’s classics such as The Wind in the Willows, Peter Pan, Where the Wild Things Are, or the works of Beatrix Potter, and also from more recent works like Harry Potter. Adults, in my experience, don’t like to have pointed out to them that childhood is a very scary time and the world of Children’s Literature a very scary place. Forgetting their own childhoods, many grown-ups prefer a sentimental notion of childhood, where happy youngsters inhabit a trouble-free country and the sun is always shining. In a similar way, adults often have a saccharine notion of Children’s Literature as sweet and cute, but to maintain that illusion they have to seize on happy and upbeat moments and race over events of the other kinds. I think this is absolutely true. In my experience, adults are sometimes not the best judges of what children will find too scary, too upsetting, or disturbing. Each child has their own limits, of course, but a little scariness can be stimulating, both intellectually and emotionally. CHANGE, dear to all things not to themselves endeared. One of my favourite things about Feeling Like a Kid (and the reason why I picked it up to begin with, I have to say) is the fact that it’s full of illustrations from children’s books. What can I say, I just can’t resist eye candy. The lovely imagine on the cover is an illustration by Flora White for a 1914 edition of Peter Pan. I wasn’t familiar with this artist before, and I really love this image. The one thing that kept me from really loving Feeling Like a Kid is the fact that it’s a short book, and is therefore not exactly very in-depth. Reading it I kept thinking, “yes, that’s a good observation” or, “yes, true enough”, but in the end I didn’t feel like I had been presented with any ideas I hadn’t thought of or come across before. To be fair, though, I’m someone who reads and thinks about children’s literature a lot, and who has read books on this topic before. If this were my first book on children’s literature, I’m sure I would have felt differently. Still, I enjoyed it a lot, most of all because of the deep respect the author clearly has for children and the way they experience the world: he takes them seriously, and he’s not for a moment patronizing or dismissive. Yes! Sendak is so right. I really hope the upcoming movie is scary. Okay, I have to admim, the reason I worry about things being scary for my kids is entirely selfish. If I don't worry enough, and they accidentally come across something that crosses that line and really scares them, then I have to deal with the consequences. Nightmares, not wanting to go to sleep at night, waking me up in the middle of the night - notice it all has to do with lack of my sleep? The sleepless nights with babies were over a few years ago for me, and I'm not at all interested in going back to them. My kids aren't easily scared, but I just remember the first time my oldest watched Beetlejuice. He was 5 or 6, and saw it at my mom's house, and my life became hell for a few weeks. To this day, he won't watch Beetlejuice, even though he's 8.5 now. I won't let my other kids watch it, either. i think this author's right in saying that adults often underestimate kids, but I also think that it's not just because they remember childhood as simple and easy. I think self-preservation has as much to do with it. We go by the phrase it's better to be safe than sorry. Some parents take that too far of course, but I still think that it's a wise philosophy. Amanda, you make a very good point. There are of course practical concerns involved in raising kids, and to do things for those reasons is perfectly understandable and legitimate. Not to mention that kids DO have limits, and to push them too far can't be wise. But I do see that tendency to overestimate children a lot. Sometimes it seems that some people believe kids can't tell fiction and reality apart at all, and that everything they are exposed to must be Disneyfied, that no negative emotions at all should be allowed in children's stories. But in reality, kids deal with negative emotions every day. There's actually an excellent video interview with Neil Gaiman where he talks about this...I'll have to see if I can remember where I saw it and post the link. Oh, man, this book looks like gold. Another one to add to the list, I guess. Thanks, Nymeth! A postscript: Some of my most vivid childhood memories have to do with fear. And -- strangely -- I view them now with a kind of fondness. Wonder what this says about me? Great review! I don't think I've read anything at all on the topic of what children relate to in a book. I just read Gossamer by Lois Lowry, last night, and it seems to hit on all five of those "essential parts of children's experience". It's a little scary, Littlest One wishes she had wings, the dream-givers curl up in a cozy heap at night, etc. Fascinating. As to what children handle, I think that literature for children is much the same as anything else in life -- it varies, depending on the child. My youngest couldn't handle scary movies or stories when he was small, but he gradually grew out of some of those nightmare-inducing fears and has branched out. I never screened his reading material; he learned early on to flip through books & read cover blurbs, then decide for himself. Definitely sounds like a must read to me, especially after reading the part you put in about scariness. I went immediately to my library site before finishing your review and added it to my hold list. I'm first in line and it will be waiting for me in a day or two!!! "... what does it feel like to be a child?" I had never heard of this - this sounds fantastic. I recently babysat two kids who watched to watch The Corpse Bride (their favorite movie), then read about sharks and ghosts. It made me remember that as a child, I too loved the scary and the macabre, although I did have my limits. That's why I loved John Bellairs so much, and so many of my favorite books were the very weird, or the very dark, or the very imaginative. Kids experience darkness and scariness all the time and I think it helps to have them reflected back in books. Movies I think sometimes are worse, because they're visual. With books, you can keep the 'monster' in your head, at whatever size you choose. I'd love to read that article, btw. This sounds like a great survey text. It's been a while since I read anything related to the academic study of children's lit, so I figure it'd probably be to my speed, even if it doesn't delve too deep. I am a terrible judge of what is scary to my kids. The things that I think will frighten them, never do, and then they scared by really silly small things. Perhaps I need to read this in order to understand my children better. sounds like a terrific find for parents and people who work with kids. thanks for the great review! Loren Eaton: lol, same here. I wonder what it says about me too :P I don't know, I think childhood fear is a very powerful experience, so no wonder it's memorable. Also, it's not always unpleasant, especially the kind of fear caused by stories, which allows children to deep down still feel safe. Carl: yay! Can't wait to hear what you think. Nely, I hope you enjoy it if you decide to pick it up! Miss D: The two kids you babysit sound seriously awesome :D I completely agree - to see that darkness in books can actually be helpful. Like the poem puts it, "Their tales are full of sorcerers and ogres/ Because their lives are." Amanda: I wonder if that inability to acknowledge death and grief has exactly to do with the fact that its cultural expression has been so limited in recent years. I don't have children (nor any younger cousins or nieces/nephews yet), but I can imagine how difficult those choices must be. I found the interview, by the way: it's this one. Sadly I don't think there's a text version available :/ I know it's long, but it's well worth watching! Kailana, I hope it does! Memory: It does discuss some neat ideas despite being so short! Scrap Girl: It's not just you. I imagine that it's hard for everyone, especially because, like Bookfool was saying, it varies so much from kid to kid. Marie: I think it would be useful, yes :) I hope you enjoy it! This sounds very good! Its true each child does have thier limit as to what they find scary. Just the other day, I was reading my daughter a book we bought, for her age group, that she picked out herself. It's one of those collection of spooky stories for children. She asked me to read it to her, and a few pages in, she told me to stop reading and had me throw the book away! I checked the book out myself, and found it ok for her to read. But it clearly was too spooky for her. The story that scared her was about a little boy who wound up living inside his gameboy after he played it for such long periods of time every day. You wrote another great review, Nymeth! I'm like Carl: I just put this on hold at the library and I'm #1 in line. I cannot wait to read it! Interesting about the scary....sometimes I read kids books and think...really? (seems too scary) And then someone else will tell me how much some kids loved it. Then again, there's my niece who is terrified of EVERYTHING. Naida: You know, I bet that story would have scared me too...I did spend way too long playing my gameboy :P But yeah, it's just impossible to guess how they'll react to things. Vasilly: And like I told Carl, I can't wait to hear what you think! Amy: A good example of that is Coraline by Neil Gaiman. It's a book that adults tend to find much more scary than children do. It's funny how that happens, isn't it? Ooh, this looks like a lovely book. I really do want to read it now. (My four year old didn't find Coraline scary at all. I though it was kind of creepy, but cool). I looked for this book at the library today, but they didn't have it. I might just have to buy it though. It's not something I would have thought about reading on my own, but it really does sound so interesting. And as I haven't read anything like this before, it will all be fresh and hopefully interesting to me. Thanks Nymeth...you continue to expand my horizons. I have mixed opinions about scariness in childrens books. If I think of me as a child I think about my nightmares, my constant fright of the dark, of everything from ghosts to vampires to thieves. The last thing I needed was a horror movie (I never watched any till older, but I was still horrified by my friends' recounting of them) or a scary book. I've never being brave in this sense and if I had been in Coraline's place I would have crapped my pants and just run away hysterically, lol. I have experiences in the shop, during storytelling, of children refusing to hear Where the wild things are because it was too scary for them. My point I guess is that, like adults, children are not all the same. Some need some scariness and frights to face their fears, and some...don't! Or at least, they need more time to get there. Wonderful review, Ana! When you said, "In my experience, adults are sometimes not the best judges of what children will find too scary, too upsetting, or disturbing. [...]" I know exactly what you meant. That's my thoughts as well. Some parents come to me asking my opinion when their children started reading books that in their opinion are "questionable" but having read them myself, I told them that they should allow them to read. Since they let you know openly that they are reading them, parents should respect their children. What parents can do is to provide guidance and discuss the content with their kids. Jeane: It's funny how adults tend to find Coraline much scarier! 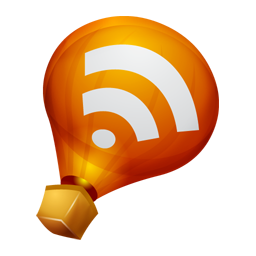 Debi: Sorry to hear you've had trouble commenting...I have no idea what's up with blogger :( Anyway, it's too bad the library didn't have it! This is one you'll find interesting for sure. Valentina: I agree, children are not all the same, and the ones who can't handle horror shouldn't be forced to watch/read it. But what bothers me is that I think there's a bit of a social trend to assume that ALL children are necessarily like that, and that everything they're exposed to must be completely tame or they'll be traumatized for life. Alice: Exactly...it's all about respecting each child's limits and being open to questions and discussions. Thanks for including that poem - I love it! This sounds fascinating. Great review! This book sounds so interesting! I love reading children's literature, and this sounds like a great book to put it in perspective, albeit a short one. It's always too bad when you love is too short! Ladytink: Me neither! So so excited. The trailer is beyond awesome. I have no idea why, but I was pretty much one of those kids who thought 'the scarier the better'. I was reading Stephen King books at an insanely early age -- under 10. My mother initially tried to shield me from it, but gave up when I persisted stubbornly, and refused to read 'kids' books' because they bored me silly. What tipped the scales was my teachers telling her I was reading and comprehending well above my age and grade level, so it would be prudent to let me, or I'd be turned off reading forever. Ironically, the only movie I ever saw that scared me witless was not a horror movie, but 'Elephant Man', John Merrick's story. I had nightmares about him being on the subway train, trying to talk to people, and begging for help. In black and white. It was very strange.